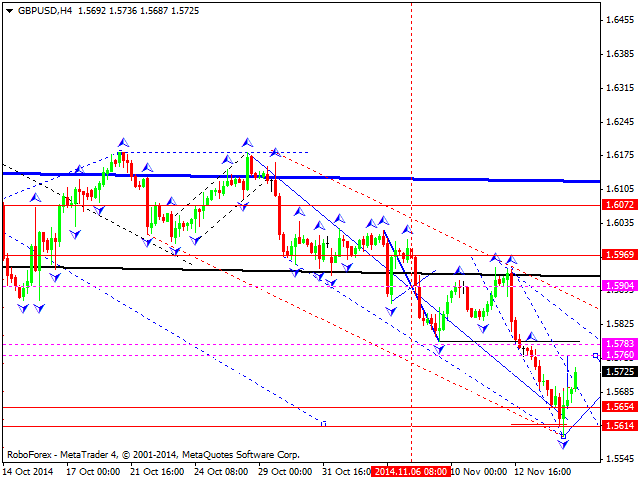 Euro is still forming the third ascending wave. We think, today the price may form an ascending structure to reach level of 1.2660 and then start falling inside the fourth wave towards level of 1.2530 to test it from above. Later, in our opinion, the market may start forming the fifth wave, an ascending one, with the target at level of 1.2700. Pound is forming the first ascending impulse, which may be strong enough to reach level of 1.5970. We think, today the price may expand a structure towards level of 1.5760 and then form a descending correction towards level of 1.5655 to test it from above. 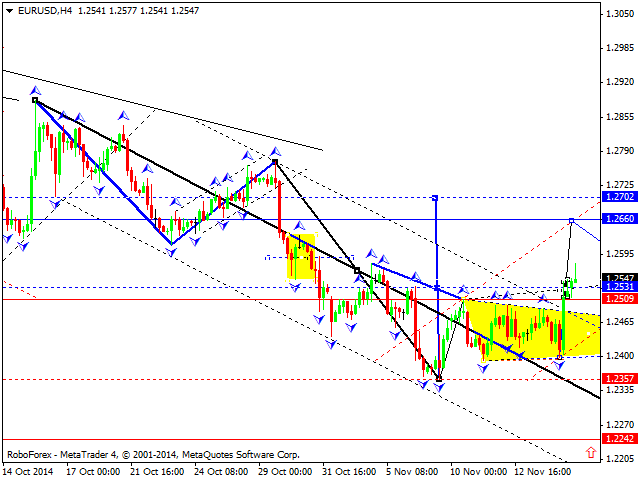 Later, in our opinion, the market may start forming the third wave with the predicted target at level of 1.5900. Franc is still forming the third descending wave. We think, today the price may form a descending structure to reach level of 0.9470 and then start an ascending correction as the fourth wave to return to level of 0.9580 to test it from below. Later, in our opinion, the market may form the fifth wave, a descending one, with the target at level of 0.9430. Yen has started forming a descending impulse, which may be strong enough to continue the downtrend. 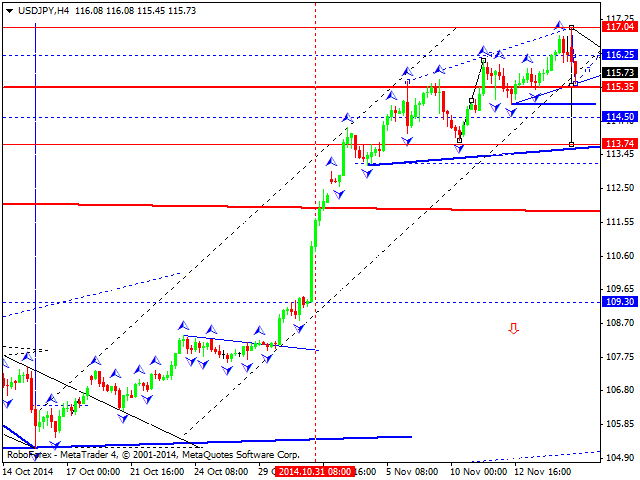 We think, today the price may return to level of 116.25. Later, in our opinion, the market may fall to break level of 115.30 and form a downside continuation pattern towards level of 113.75. 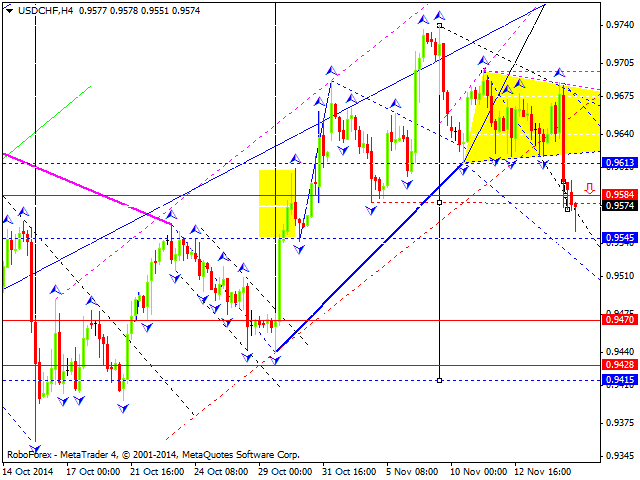 Australian Dollar is still forming an ascending structure with the target at 0.8815. 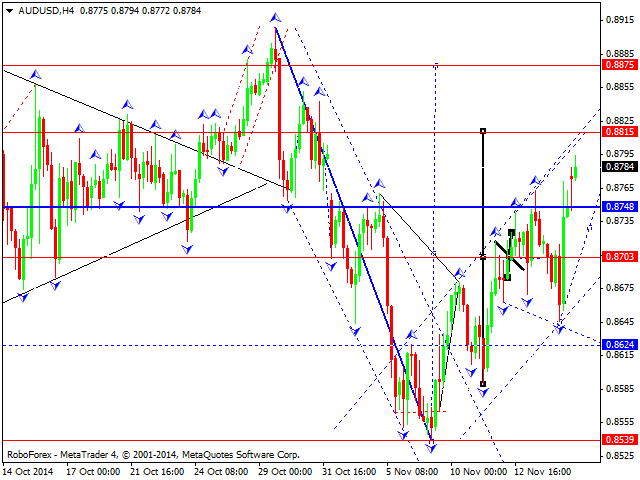 After reaching it, the price may form a descending correction towards level of 0.8700 to test it from above. Later, in our opinion, the market may form the fifth wave, an ascending one, to reach level of 0.8875. Ruble has reached the target of its correction. We think, today the price may fall to test level of 45.89. Later, in our opinion, the market may consolidate and form a downside continuation pattern. 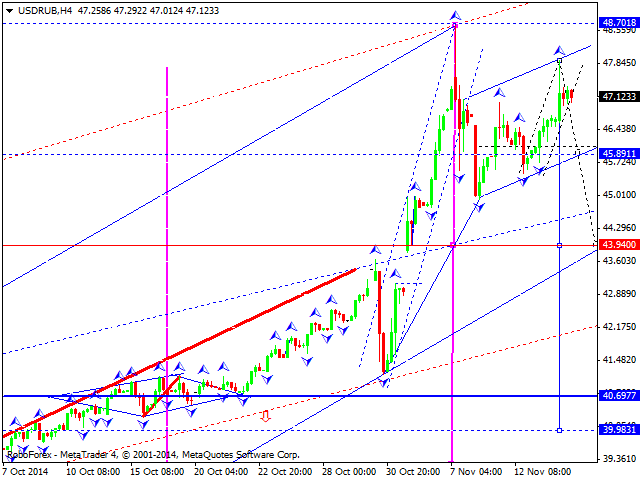 The predicted target is at level of 43.94. 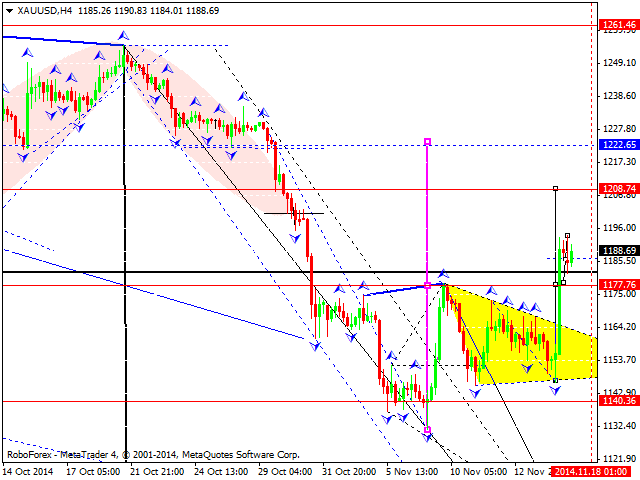 Gold has broken the top of the first ascending wave. We think, today the price may consolidate and form an upside continuation pattern with a local target at level of 1208.74. Later, in our opinion, the market may form the fourth wave as a correction towards level of 1177.75 and then the fifth wave, an ascending one, with the target at level of 1222.65.